Leaving the flower pots behind, the main trail continues along the shoreline taking you to a large cave which is accessible by a set of stairs. Some of the cedar trees that grow from the tiny crevasses in the rock are centuries old and you can’t help but be amazed at their ability to survive in such a harsh environment. The age of some of these tree’s are incredible. 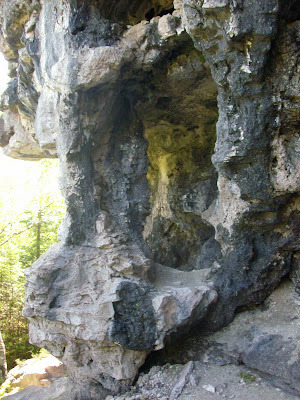 Growing from the cliff face, researchers from the University of Guelph found one cedar to be over 1800 years old, making it the oldest known living tree in eastern North America. 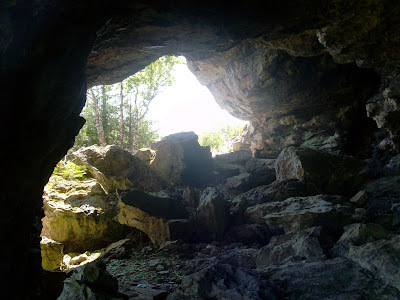 The cave itself is beautiful and a great place to cool off before continuing your hike across the island. Continuing down the trail, you will eventually get to the lighthouse at the north-easterly point of the island. Although the original lighthouse was built in 1897, a new, more modern version was constructed on the cliff face in 1969. 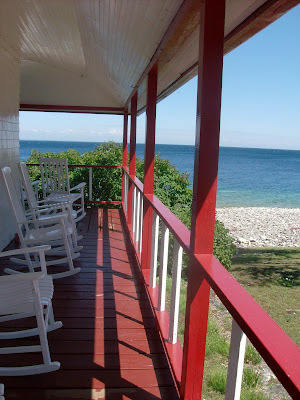 This site features a lighthouse museum which is the former light keepers’ home and the view from the veranda is spectacular. This is a great place to have lunch and take photos before hiking back. 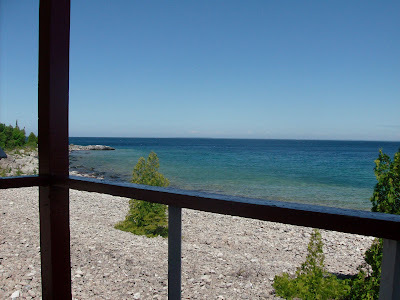 Plan to spend the better part of the day exploring this great island hiking, taking photo’s and swimming in the cool, clear waters of Georgian Bay. For the more adventurous, the island features 6 campsites complete with tent platforms if you wish to stay overnight. These sites are not reservable and are available on a first come first serve basis. 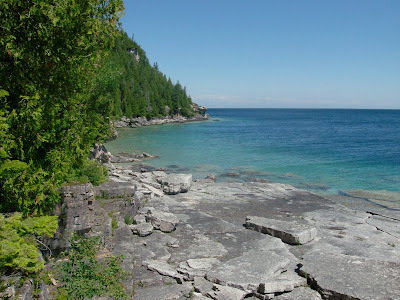 A beautiful spot and a truly unique destination, Flower Pot Island is just one more reason why I return to Tobermory every summer.